I just love the start of a New Year! So many possibilities for the year and I get so enthused to sew ALL THE THINGS! So I have already finished up a few quilts that I will be sharing over the next few weeks. 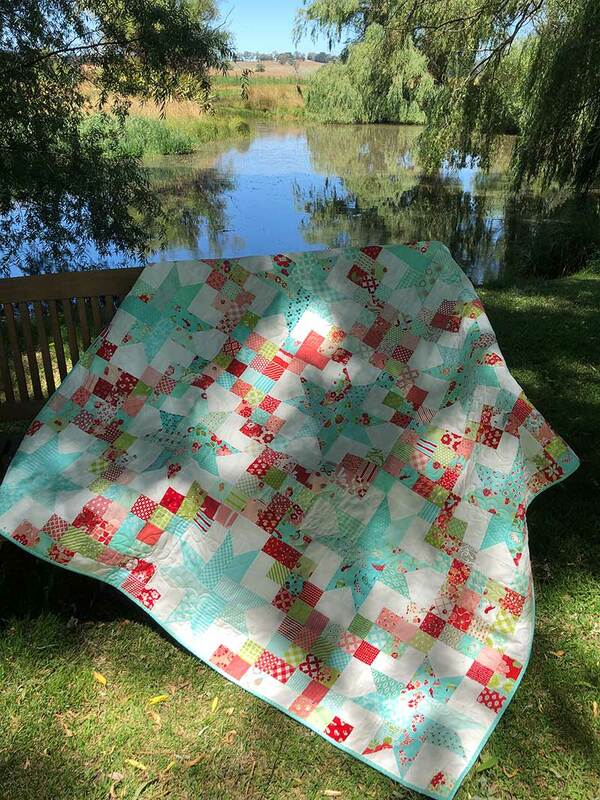 First up is my Patchwork Sky quilt from my Aussie Bonnie & Camille sewing bee from last year. This one just looks awesome in real life and has joined our ever increasing pile of quilts that I just can’t bear to part with! 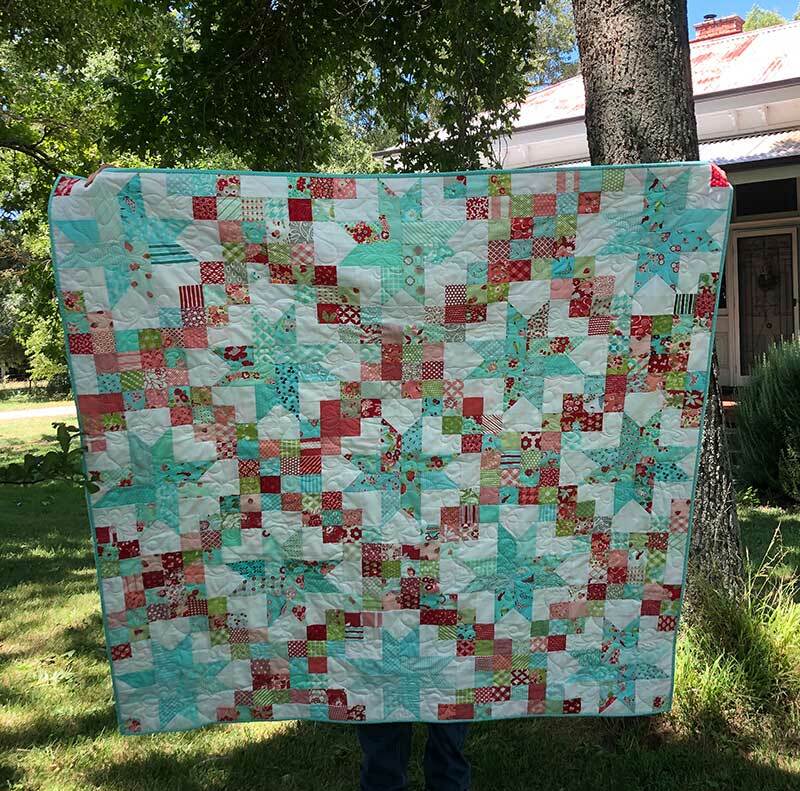 I went back and forwards as to whether I would make more blocks… but in the end I just wanted to have it finished and quilted and start using it! 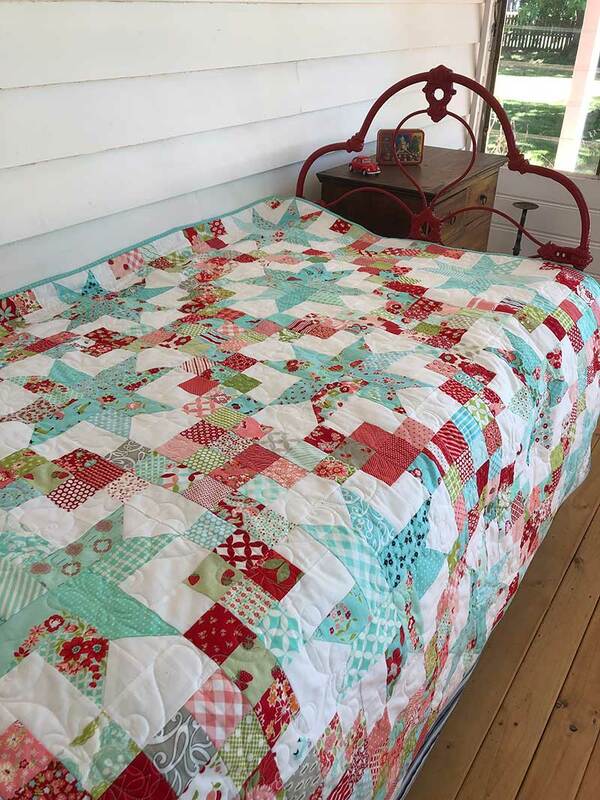 It is the perfect size as a top bed quilt… so will get good use during winter on top of our doona. And lovely over our sun room day bed! 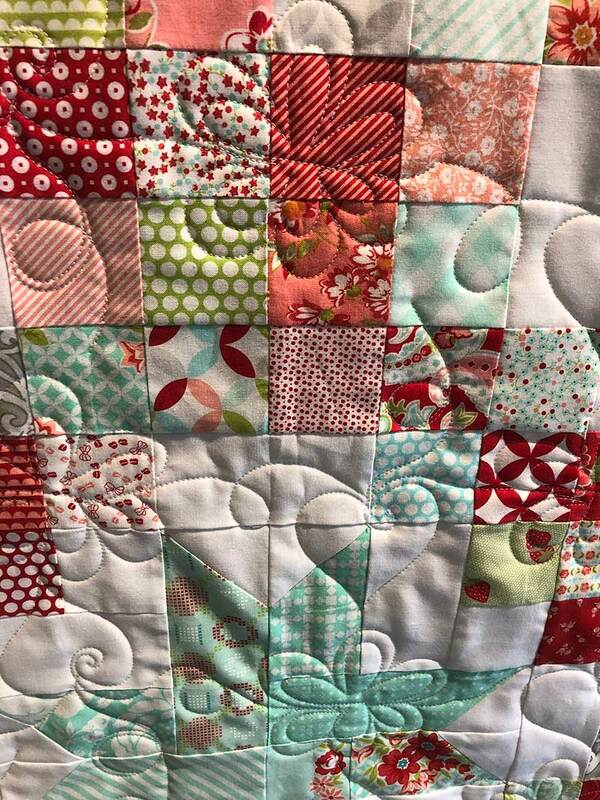 The quilting is made up of hearts and flowers and I love how it turned out! Binding Betty was pretty happy sitting on it after quilting too! And a closeup of the quilting on Lily the Longarm. And even though we are now in the middle of what is shaping up to be a very hot summer, the lake is looking OK and the paddock behind us has irrigated potatoes in it, so there is some green still around! 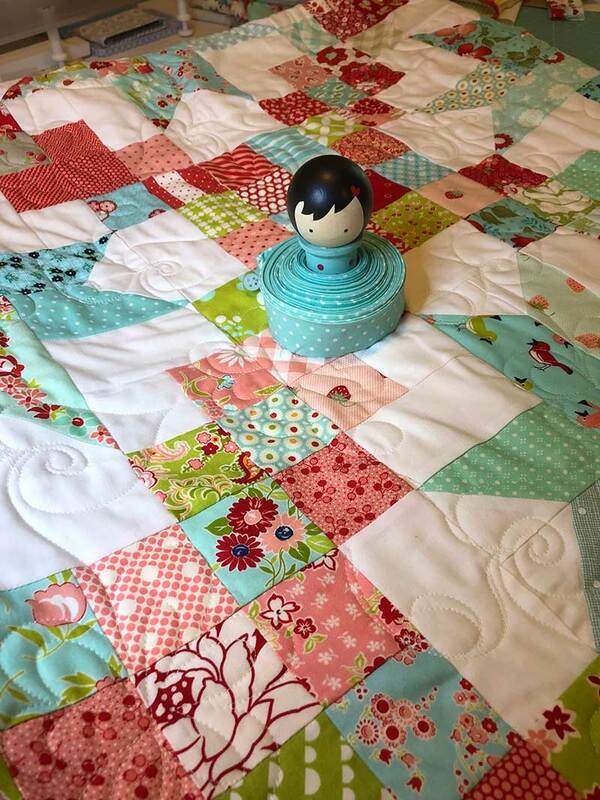 What lovely quilting to compliment the quilt; congratulations on a stunning finish! Thanks Yvonne! 🙂 It is already a firm favourite!